Though Fuyu persimmons command an edible advantage over other persimmon counterparts, they do share common characteristics with other persimmon varieties. They have a rounded ovate beefsteak tomato shape with an indented leaf on their stem end, pumpkin colored tones in both skin and flesh and when ripe, possess layers of flavors reminiscent of pear, dates and brown sugar with a cooling finish. Their texture varies from crisp and succulent when young and perfectly ripe to more tender as they mature. 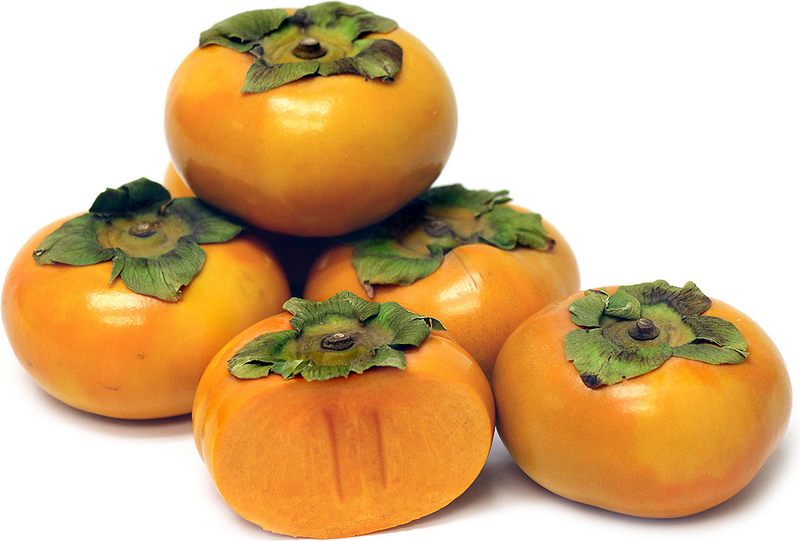 Locally grown California persimmons are available fall through early winter.